If you follow us on social media, live in Central Oregon, and/or have gone outside in the last month, you know that we have been dealing with monumental ice dam issues. Sadly, many of our friends and neighbors in Bend and beyond are dealing with serious water damage following the recent snowfall. We did our best to keep up with the demand for ice dam removal, working some Serious hours thawing away rooftop ice with our steam machines. 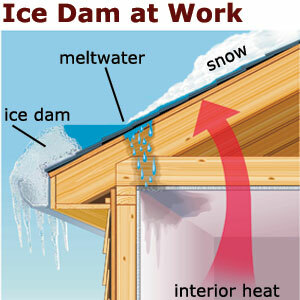 As we’ve shared so many times before, preventative measures are the BEST line of defense against ice dam buildup. And, consequently, they’re also your best defense against the water damage that is almost sure to follow. Since this isn’t our first wintertime rodeo, we have spent a LOT of time investigating how best to combat this recurring threat. And, we have an answer. 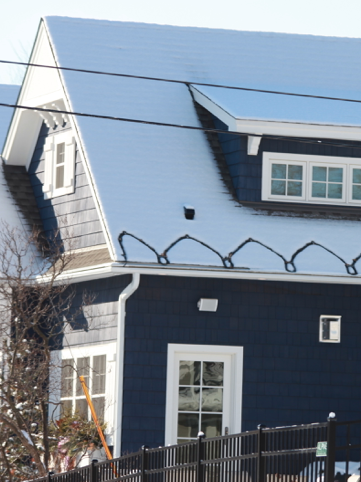 Heat cables, installed along the edge of your roofline, are designed to keep ice dams from building. The science is simple: they warm up, prevent the water from freezing, and can save you thousands of dollars in the long run. Keep in mind, not all heat cables are created equal! The versions from your local big box store can leave something to be desired, often providing disappointing, ineffective protection. We found a manufacturer (after much research) that we believe in; one that offers superior design quality and performance. For all of the details about installation, benefits, and ice dams in general, be sure to check out this blog we shared a few weeks ago. Today, let’s get down to brass tacks. How Much Do Heat Cables Cost? Most problem areas on your roof (and we’ll help you identify these) can be addressed and protected for about $2,000. And, most homes here in Bend have 1-2 problem areas. What impacts the cost? Well, it really all comes down to how much cable we need to install, and this depends, of course, on the size of your roof, unique features, and how many problem areas you might have. Every home is a little different. Plug-in systems like ours are limited in length, maxing out at 150 feet. We try to use every foot as efficiently as possibly, but if you have a large or unique roof you may need to look into a hardwired system which will incur additional electrical costs. How Much Does It Cost To NOT Have Heat Cables Installed? Well, that’s an equally valid question. Truly. After seeing so much damage caused by trapped rooftop water that had nowhere to go but IN, we can’t overemphasize the value and importance of protecting your home with a system like this. It’s a little like investing in routine oil changes for your car. Sure, it may not be fun to spend the $50-60 bucks, but it’s better than replacing a seized motor. We recommend having our team visit your home, and let us review your roof, its lines and features, and propose a plan. There’s no obligation, but it IS good food for thought. We simply want to help you be able to rest easy during our next snowstorm, not wonder if you’re going to have an interior waterfall. Have a question? Give us a call! We’d Seriously love to serve you.